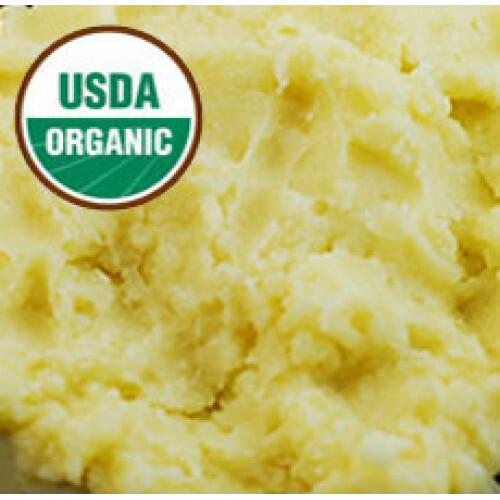 Our Shea Butter is 100% natural & Organic. The shea nuts are hand gathered by groups of women in villages in Burkina Faso and are sold at a fair price to the butter producers. To produce a product to organic and export quality standards, the butter is transported by cart to the processing plant where it is purified, filtered and stored in hygienic metal drums. This premium Organic Shea Butter is of superior quality has an unusual nutty scent with a very light top note and wonderful yellow color of soft grainy texture.